Viknesh Vijayenthiran April 11, 2018 Comment Now! 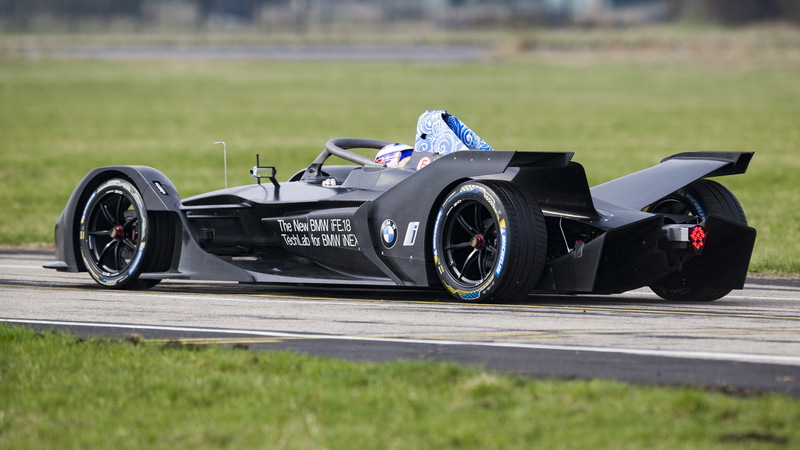 BMW has completed an initial shakedown test for its new race car designed for the 2018/2019 Formula E Championship, the fifth season of the electric car racing series. 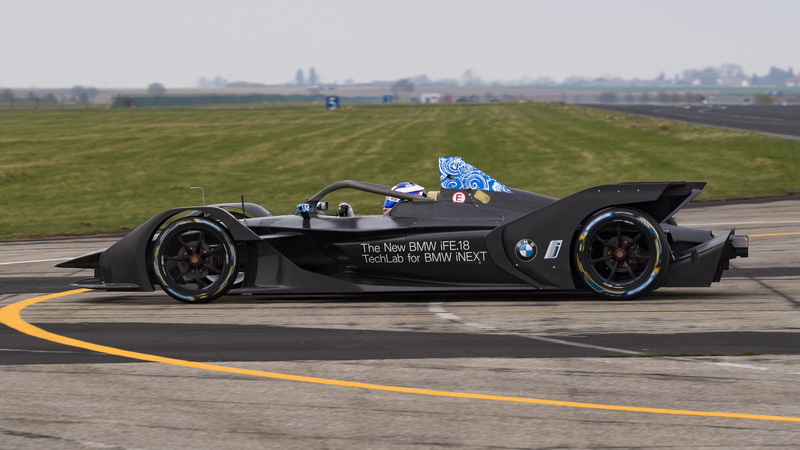 The test of the new car, called the iFE.18, took place on Tuesday at the BMW Group's test track in Maisach, Germany, not far from the automaker's Munich headquarters. Doing the driving was BMW test driver Tom Blomqvist. 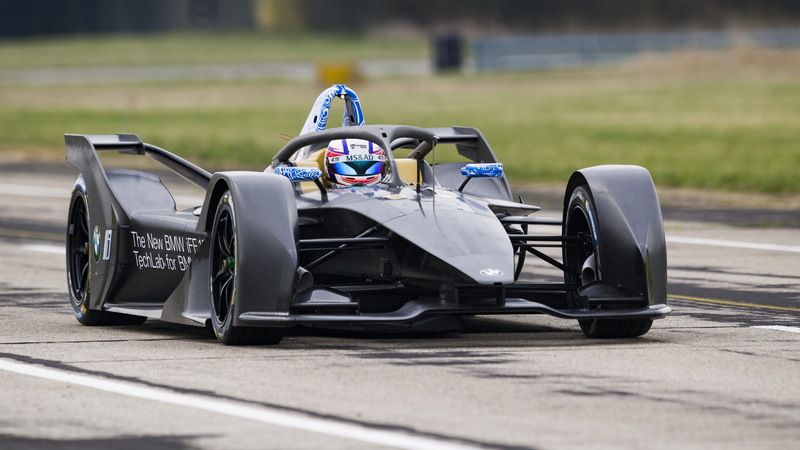 Teams still rely on a common chassis for Formula E's fifth season, albeit a new Gen2 design that was unveiled at the start of the year. Also common is the battery, which in the Gen2 car holds enough charge for a driver to complete a race without the need for swapping cars. Previously, each driver would use two cars to complete a race. Where teams are able to differentiate their cars is in the areas of powertrain, transmission, suspension, and software management. BMW says the motorsport engineers worked closely with staff from the i sub-brand to develop the powertrain for the iFE.18. 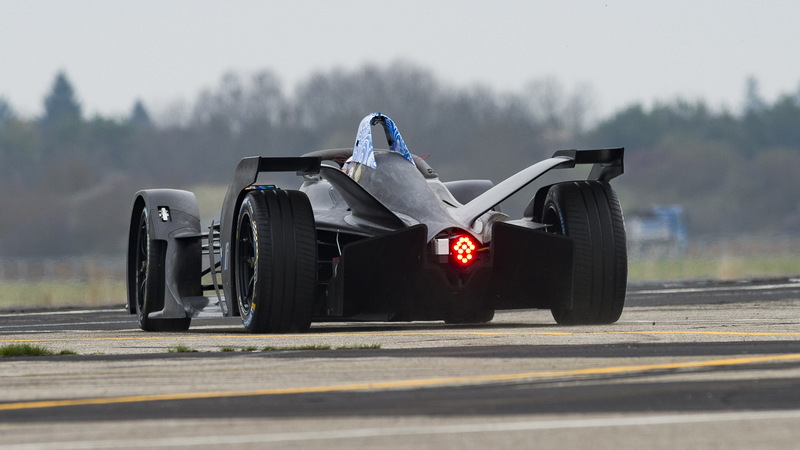 BMW will now further refine the car ahead of an official Formula E test scheduled for April 17. The first race of the 2018/2019 Formula E season isn't scheduled until December. BMW confirmed its interest to compete as a constructor in Formula E last July. 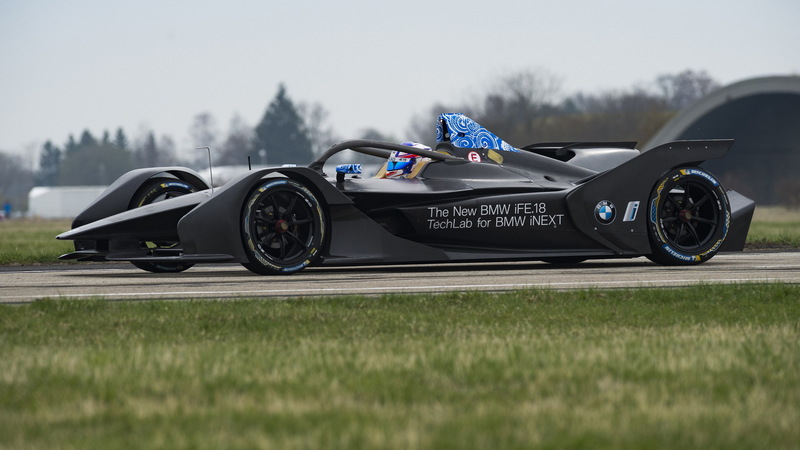 However, the automaker was already involved in past seasons as a partner of American team Andretti Formula E, which is now a fully factory-supported BMW team. Nissan will also be on the grid for season five of Formula E, having taken over alliance partner Renault's team. Things are set to really heat up once the 2019/2020 season, the sport's sixth, rolls around as this is when we'll see Porsche and Mercedes-Benz join the grid as well.